Hello Guys, I am here with new post related to Bollywood upcoming movie of 2017. 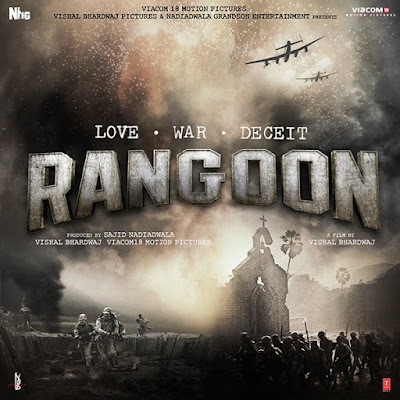 This time sharing latest news, information about Sahid Kapoor upcoming movie Rangoon release date, poster, story plot. 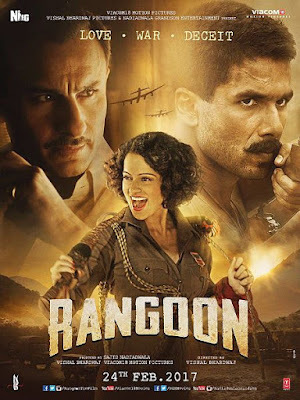 Rangoon is an upcoming period romance drama film which is directed by famous Bollywood director Vishal Bhardwaj and produced by Sajid Nadiadwala and Viacom 18 Motion Pictures. The film’s stars cast Kangana Ranaut, Shahid Kapoor, Saif Ali Khan are in main lead role. Sahid Kapoor has already worked with Vishal Shekhar in two film Kaminey (2009) and Haider (2014). Both film are very famous and popular. This is a period drama film. The project is a period film set during World War II. This is the love triangle between Kangna Ranaut, Saif Ali Khan and Shahid Kapoor. The film related to world war 2. All fans are waiting this film. Kangana plays the role of Julia, a film actress from the 1940s, Who gets sent to Burma to entertain. 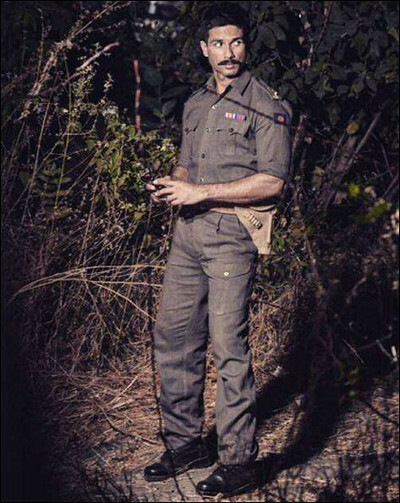 Shahid Kapoor is playing important character Nawab Malik and other hand Saif Ali Khan is playing character of a possessive filmmaker. This is the slid romantic drama film. The trailer of this film has released now. Release Date:- The film is all set to release in theaters on 24th February 2017.